Home » CONRIC » Above Board Chamber Hosts Girlfriends Night Out at Trini in Private Salon & Spa on July 11th! Above Board Chamber Hosts Girlfriends Night Out at Trini in Private Salon & Spa on July 11th! Love That Dress! 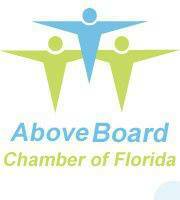 6, invites you to bring your friends and join the fun as the Above Board Chamber hosts a Girlfriends Night Out on Friday, July 11 at Trini in Private Salon & Spa, located at 13499 S. Cleveland Ave. #233, Fort Myers from 5 p.m. to 7 p.m., all in benefit of PACE Center for Girls – Lee. This exciting night out is sponsored by the Above Board Chamber and will feature manicures and haircuts by appointment. Boo k ahead and you will receive 25% off all services by calling 239-628-1628. This girl’s night out will feature wine and cheese provided by Trini in Private Salon & Spa along with raffles, door prizes and a silent auction. Grab your girlfriends and enjoy this opportunity to be pampered, donate your gently loved dresses and have fun while benefiting a great cause. Admission into the party is your donation of one or more new or gently loved dresses. All styles of dress are accepted from beach-to-ball gown-to-bridal…GAP to Gucci. New or gently loved handbags, shoes and accessories are also welcome. In lieu of a donated item, guests may donate five dollars to PACE Center for Girls. All of the dresses and other items collected during the party will be up for sale at this year’s “Love That Dress!” event on Wednesday, August 27th from 6-9 p.m. at Embassy Suites Hotel in Estero, which is open to the public. 100% of the proceeds benefit PACE-Lee! All of the proceeds from Love That Dress! 6 will benefit PACE Center for Girls, a non-residential prevention and intervention program targeting the unique needs of girls, ages 12 to 18, facing challenges such as physical and sexual abuse, domestic violence, substance abuse, foster care, neglect, death of a parent, family history of incarceration and declining grades. Please go online to www.pacecenter.org/centers/lee/lee-ltd/collection-parties and view the calendar of upcoming dress collection parties in July and August leading up to the big event.